Ariana Grande and American Express have teamed up to offer a piece of merch exclusive to Coachella 2019. 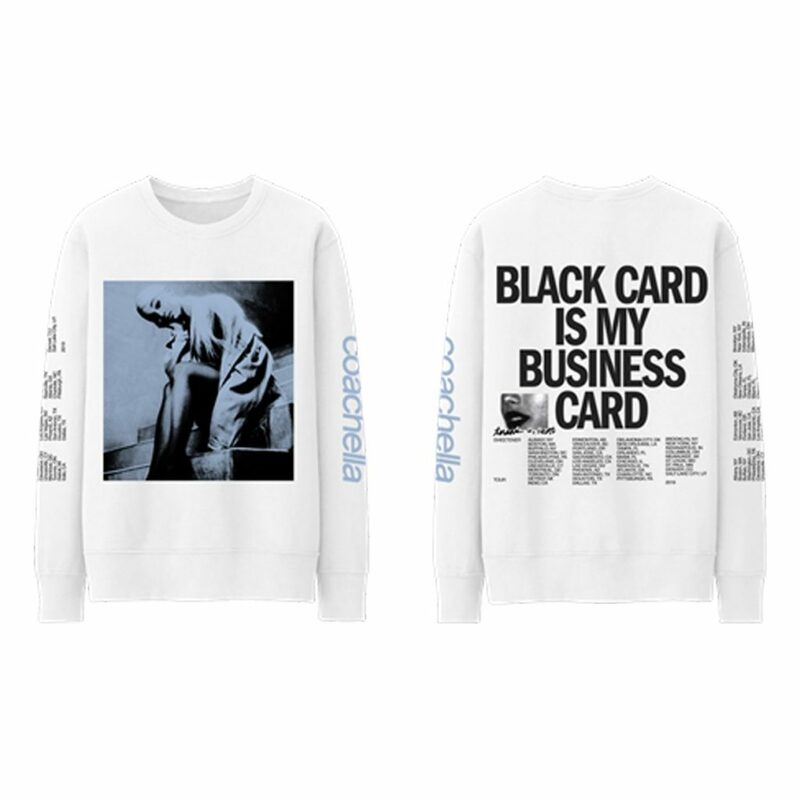 The long-sleeve BC [Black Card] Crewneck features lyrics from Grande’s No. 1 hit “7 Rings,” and will be available for Card Members to purchase for $65 in the on-site American Express Card Member Lounge both weekends. Check out the BC Crewneck below.